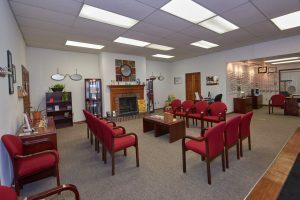 VisionMakers and Beavercreek Vision Center were established in 1992 to provide you and your family with an improved quality of eyecare and eyewear at a reasonable price. 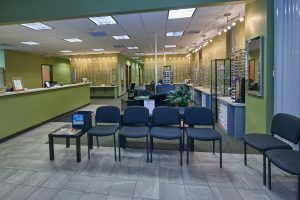 Our offices are your one-stop eyecare and eyewear facility. Our staff is committed to striving to bring you the latest in medical expertise, technology and fashion to help you see better. We are also pleased to be able to contribute back to the community through our donations to Prevent Blindness of Ohio, The Lions Club, Mission of Sight and our local Food Pantry. Our patients partner with us, by bringing in their prior eyeglass frames and donations for the Food Pantry. By staying current with the latest developments in eye care, prescription lenses and advances in contact lens technology, our vision center can provide you with the best vision, advice and fit today—and in the years to come. We take pride in building lasting relationships with our patients, which is why we take the time to get to know you, your vision requirements and your lifestyle needs. Contact our eye care office today to find out how we can help you!